Farm to Table: Restock ingredients with fresh produce from Discovery Farm. Meal Mashup: Follow the recipe cards to create fresh salads, sandwiches, and more. Eat the Rainbow: Make a meal that includes lots of different, naturally occurring colors. Order up! 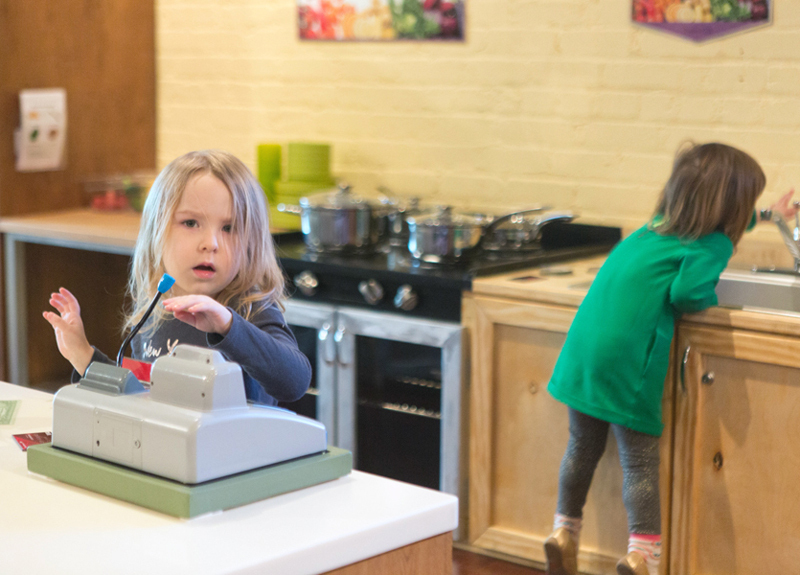 Don an apron and dish out a delicious helping of imaginative play in Little C’ville’s pint-sized bakery and café, sponsored by Panera Bread. Take orders, bake breads, mix and match ingredients, and keep your restaurant spick and span as you learn about the importance of good eating habits and how to identify healthy food options.